We were so happy to be in the right place at the right time. At our Fourmarks practice, Mrs H had been walking past when she decided to test her eyes with the Amsler grid in the window. What she found both surprised and frightened her, but we were able to see her the same day and diagnose the cause. This is Mrs H's account of the day. 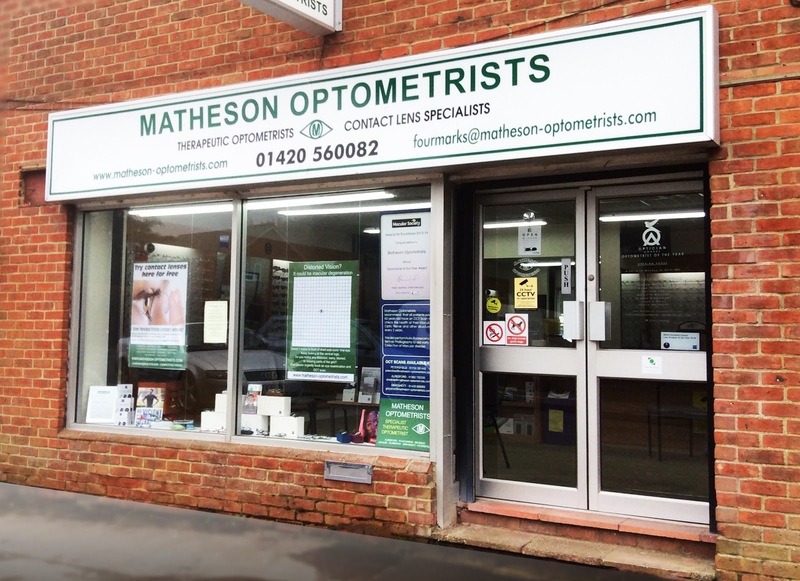 "How fortunate it was that I walked past Matheson Optometrists' window in Four Marks! 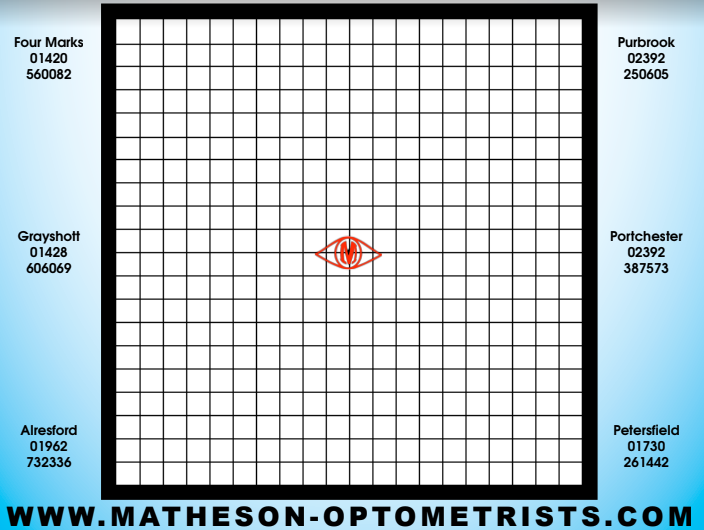 I looked at the Amsler grid displayed in the window and discovered that the central vision of my right eye appeared black and misty and the straight lines had become wavy. I closed my right eye and peered at the grid with my left eye. No mist, no black circle, and no wavy lines. That discovery, in my right eye, made me very nervous and worried. I made an appointment immediately to see one of the optometrist. I saw Mr Andrew Matheson, who gave my eyes a thorough examination and, with the up-to- the-minute technology available at the practice, he was able to diagnose wet-eye macular degeneration. On hearing this, I was rather frightened, but with Mr Matheson’s calm, kindly reassurance and his immediate proactive response, I was able to go to an eye consultant and receive the necessary injection of Avastin in my effected eye. The sooner this injection is given, the better the prognosis. Having this injection so quickly, has meant I have a much higher chance of arresting the macular degeneration and saving my eyesight. 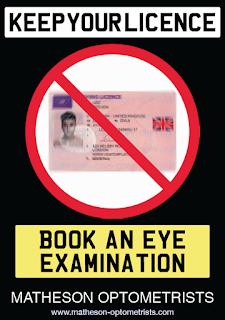 It is vital to get to see a ophthalmologist within a couple of weeks of the symptoms starting. Under the NHS the aim is to be seen, and if required, treated within two weeks of the symptoms starting .How lucky I am to have looked into the Matheson Optometrists' window! A big THANK YOU to Matheson Optometrist's at Four Marks." "Good news! Having had my second injection at Southampton Hospital Eye Unit, there is an excellent chance of either stopping the vision loss or of improving it. Early diagnosis is vital." 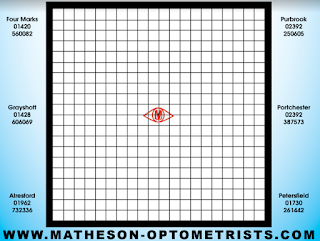 An Amsler grid which can be used at home to check your vision, for signs of macular degeneration. 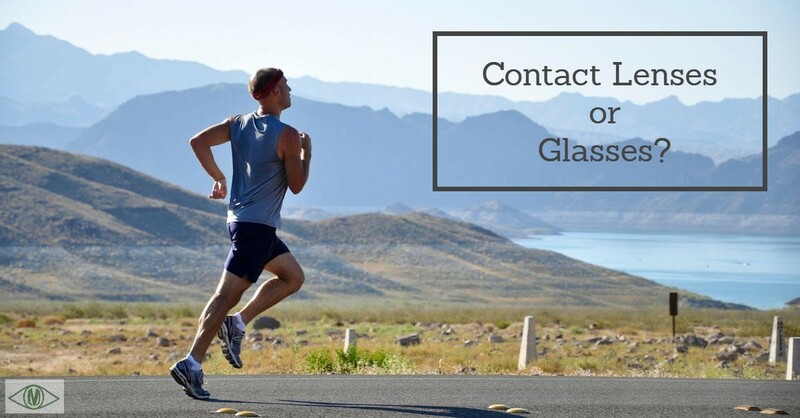 With Progressive or Varifocal lenses you may notice some form of distortion. Distortions may occur as a result of the lens design and not your eyes. If you have a cause for concern please consult an eye care professional. 1. Hold the Amsler grid at normal reading distance (about 35cm). 2. Cover one eye at a time with the palm of your hand. 3. Stare at the centre dot of the chart at all times. 4. Do not let your eye drift from the centre dot. You can find more about Amsler grids on our website, by clicking HERE. 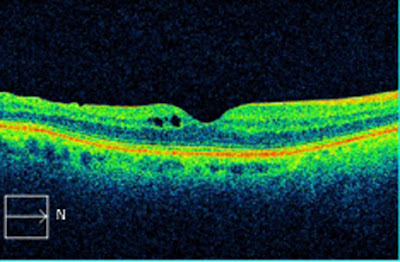 The right to offer patients a choice to use the cheap, effective drug Avastin to treat wet age-related macular degeneration, has been a long time coming. More than a decade ago, doctors realised Avastin, a drug licensed for cancer, might also work to treat eye conditions when used "off-label". This is a term used when a drug has a licence to treat something else. 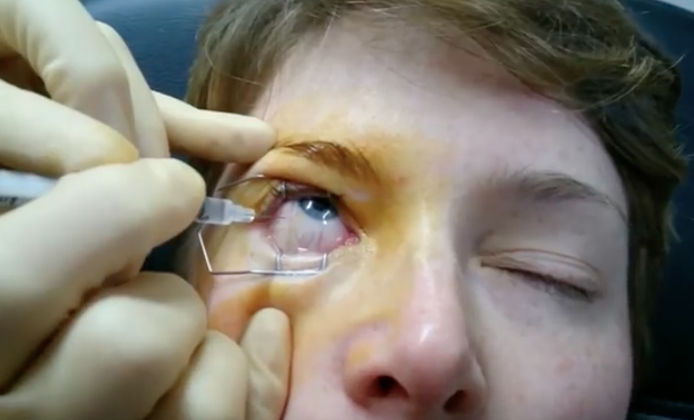 Publicly-funded clinical trials across the world - including one done and paid for by the NHS - have shown Avastin does give just as good results when it is split into the tiny doses needed to inject into the back of the eye. At the heart of the issue is the fact that the company that owns the rights to Avastin, Roche, has never sought a licence to market it for eye conditions - only some types of cancer. The licensed drugs for wet AMD in the UK are Lucentis (marketed by Novartis) and Eylea (marketed by Bayer). To complicate matters, Lucentis is derived from the same molecule as Avastin. Roche holds the intellectual property rights for both - Novartis licenses it from them. Back in 2007, Tory MP George Young said that publicly-funded trials would "provide good evidence that would allow regulators such as NICE to recommend the use of Avastin over Lucentis and save the NHS a considerable amount of money".Indeed, one health economist has estimated for the BBC that if the NHS had made the switch to Avastin a decade ago, it could have saved between £2-3bn.Bayer and Novartis, who both market drugs for the treatment for wet AMD (Eylea and Lucentis, respectively), challenged the lawfulness of the policy adopted by the CCGs. The policy stated that Avastin would be offered to patients with wet AMD ‘as the preferred treatment option’ because of the price difference between Avastin and the other two medicines. Avastin costs £28 per injection, while Eylea costs £816 per injection and Lucentis costs £551 per injection. Bayer and Novartis claimed that the supply of Avastin to treat wet AMD was unlawful under EU law because it does not have authorisation for ophthalmic use. They also argued that the use of the drug for ophthalmic purposes undermined patients’ rights of access to treatments recommended by the National Institute for Health and Care Excellence (NICE). Speaking on behalf of the CCGs, CCG chief officer in South Tyneside, Dr David Hambleton, said they were delighted to be able to offer Avastin as an alternative treatment to patients. “The drug is undeniably, equally effective, and much less expensive, and the money this will save – in excess of £13.5 million per year for the 12 CCGs involved in this litigation alone, and hundreds of millions of pounds across the country – can be ploughed straight back into delivering the very best care possible to our patients,” Dr Hambleton said. Avastin is used across Europe and the US for treating wet AMD, and international clinical trials have indicated that it is safe and clinically effective. Bayer and Novartis expressed their disappointment with the decision, and said it encourages the use of a medicine that is not licensed purely for financial reasons. Both companies are considering an appeal of the decision. In response to the decision, optometrist and clinical director at the AOP, Dr Peter Hampson, said that the cost savings Avastin can bring was welcome news for anyone concerned about eye health. “With an ageing population it’s essential that the treatment of wet AMD has a sustainable future. This ruling could potentially save millions of pounds, allowing for increased funding in areas of care that are currently in desperate need of investment,” he explained. In January, new guidance was issued by NICE, highlighting Avastin’s clinical effectiveness and safety for treating wet AMD, which promoted the General Medical Council to state that its use would not raise fitness to practice concerns. A retinal scan using OCT, with a fluid pocket (the black circles within the layers of coloured sensory retina). OCT, the newest technology to sweep the optical industry. Without any invasive techniques or instruments, a simple scan done alongside your routine eye exam could potentially save your sight. When our optometrists examine your eyes, they look into them through the pupil. Sometimes, if a patient has small pupils they are dilated, to give a wider view inside. 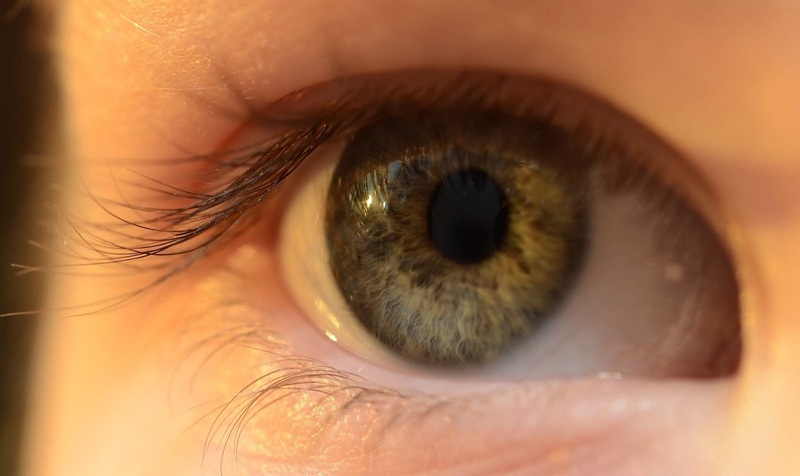 Looking directly onto the retina, your eye health is assessed to look for changes that are or could affect your vision. With the OCT, we are able to see a cross section through your eye. As if coming through from the side, the scan shows any leakage from blood vessels, haemorrhages. Debris building up in the macular, your area for central vision, reading and recognising faces, also known as age-related macular degeneration. The scan gives an objective measurement of structures in the eye, giving us a 3D model. Normal Anterior Chamber angle. The top curve is the cornea, which is the front of the eye. The bottom bumpy curve, is the iris, the coloured part of your eye. A narrow anterior chamber angle, which could be at risk of closing. Newer attachments have allowed imaging of the front of the eye too. Viewing the angle made between the iris and cornea, allows assessment for Glaucoma. The corner of this angle is likened to a drain plug, where fluid created in the eye is drained away. There are some natural iris variations, which look open when viewed from the front, but with scanning can show exactly how wide and open the drainage is. It uses scanning lasers, with high depth resolution and high speed acquisition. In a similar way as ultrasound, lots of individual sections are combined to create a 3D image. The OCT sends a optical signal, similar to a light source, into the eye and measures the time taken for the reflection to return. Different structures in the eye, reflect the signal at different lengths. A technician will position you onto the chin and forehead rest, with your eye comfortably aligned, different scans will be taken. The process takes around 10 minutes to complete. 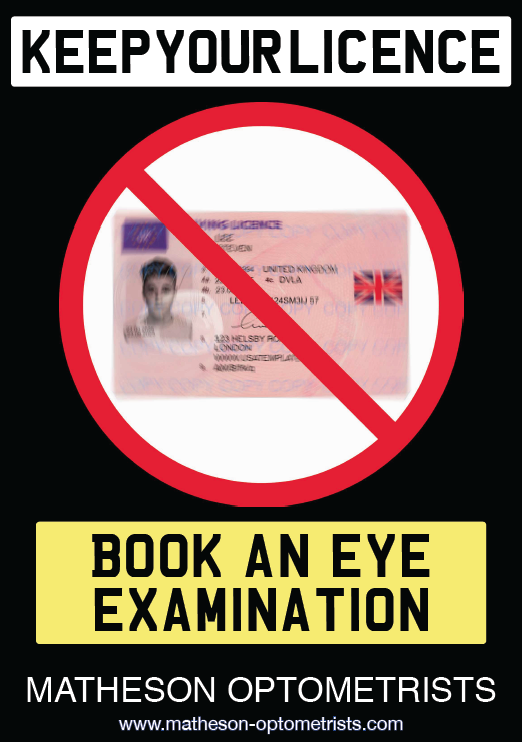 An optometrist will review your scans and relay the results to you. Both images were captured using an OCT, the left image is how the practitioner sees the eye, when looking through. The image on the right, shows this same area as a cross section. Often changes can happen within the eye, that we are not aware of. 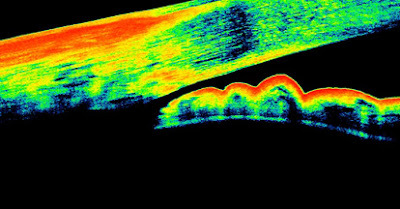 The OCT can measure structures that are translucent or lying beneath the surface of the retina. Before we can see and you can feel the changes, the scan will be able to detect them. Using this information, our Optometrists can advice you on the best way to proceed. In the case of AMD, taking a specific formulation of supplements can help to slow down the degenerative process. Though this only has an affect in the early stages of the condition. So the earlier we are able to detect changes, the sooner we can manage them. It is always a good idea to have at least baseline readings that can be compared to at subsequent visits. If there happen to be any changes or new occurrences that need referencing. OCT scans are recommended for all our patients over 60. The frequency of scanning year after year, is dependent on any monitoring that is required. For some patients, ever other year is sufficient, others will need more regular check ups. You can find more information on OCTs on our website. We also have an informational leaflet with a home monitoring Amsler grid at our clinics. 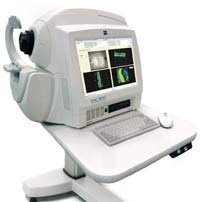 All of our practices have the Zeiss Cirrus HD-OCTs, call us to arrange an your OCT scan. Many people wear contact lenses for sport, special occasions or simply prefer them to their glasses. Modern lenses have come a long way since the traditional lenses first designed. A daily disposable lens is exactly as it sounds. A fresh and clear lens is worn each day. Which is clean and has no oil build up. A properly fitted daily lens feels very comfortable, as it's thin and durable. An optometrist will fit them to the curve of your eye and make sure they interact well with your eyes. There are lenses that can be worn for longer periods of time. At the end of each day, the lens is removed, rubbed and rinsed with cleaning solution and stored for next use. High prescriptions are also now catered for. With lenses being able to correct astigmatism and even 'reading' contact lenses. Which like varifocals, have a distance and near part. Meaning you could enjoy a conversation and check the menu without having switch glasses (depending on the suitability of your prescription). When you think about how much you move around during sports, this is where contacts really shine. As they are fit onto your eye, you have a much bigger field of view. You don't need to look through any gaps, distortion or around a frame. There are no reflections from spectacle lenses and rain drops wont block your vision either, nor will they steam up! A daily disposable is often preferred if they lenses are only for occasional use, or a for a few hours at sports practice. If your looking for wear your lenses more consistently, maybe on a day to day basis a monthly lens would be more suitable. A monthly lens is as it says on the tin. Wear them for a few hours a day, clean them off and store for the next use. Then at the end of a month cycle, bin them and start a fresh. Many parents are surprised to know that we fit children with lenses too. Most children and capable of inserting and removing lenses, they are quick to catch on and given good instruction, handle them safely. Lenses can help with sports at school, for children who need their glasses full time. It can help with their reaction times, confidence and view while playing. Have you tried the new soft contact lenses? A fan of the RGP hard lenses? We fit contact lenses at all of our practices. 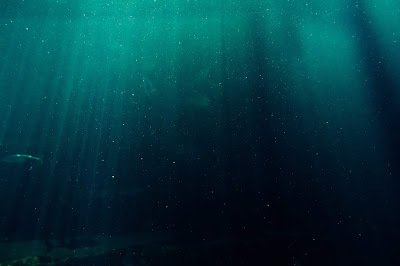 alone, how many millions of people are disposing of these plastics improperly? 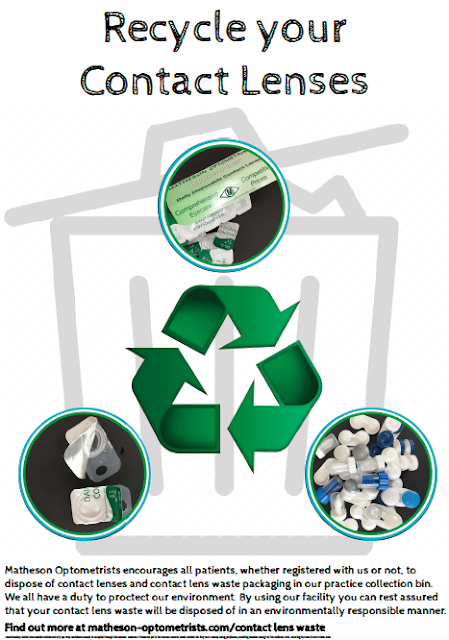 fragmentation of contact lenses into microplastics within a wastewater treatment plant. The fastest-growing part of the contact lens market is daily disposable lenses, which create a lot more waste. Microplastics, may be ingested by fish and other animals thereby entering the food chain. advice is to dispose of your contact lenses in your regular non-recycling bin.